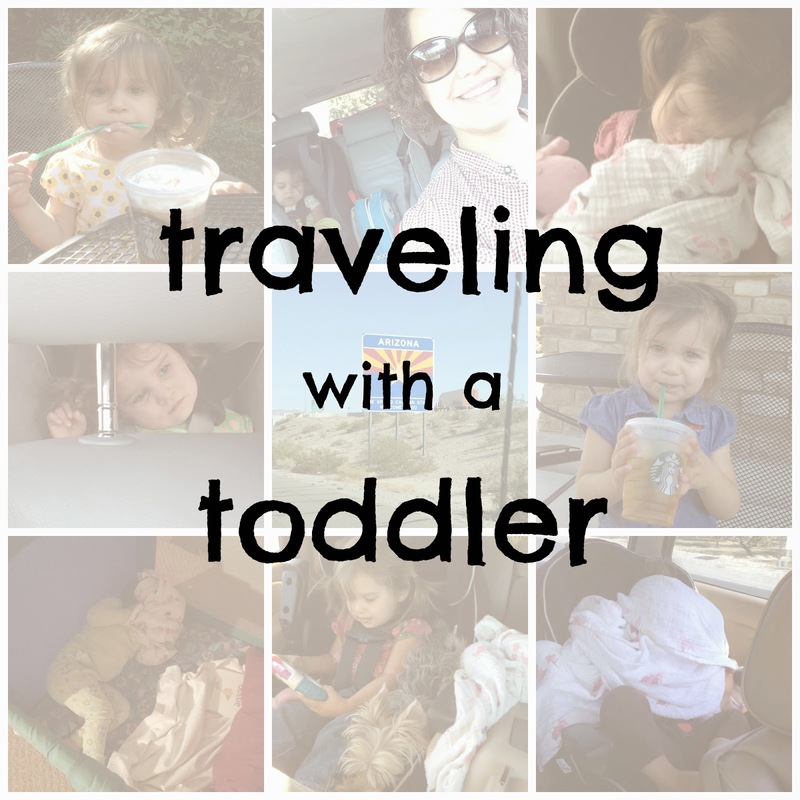 We have done a lot of car trips with our kids. Both kids have been on countless "little" (3 hours or less) trips and both have been on a couple "big" (1000 miles or more) trips. 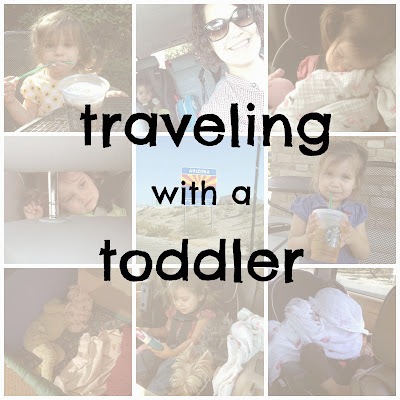 Along the way, we have learned a thing or two about traveling with toddlers. My number one rule is NO middle of the night travel. It has just never turned out well for us. Our kids don't sleep, they are tired, we are tired and everyone is downright miserable. For some reason, my kids will nap in the car but will not "go to bed" sleep in the car. So for us, if we are arriving anywhere later than 10pm, things start going down hill. The best way to make a trip go well is to be prepared with both entertainment and snacks. Let's talk snacks first. Since I have traveled with the kids (or in the case of this past trip, kid) alone a decent amount, I have discovered for snacks, it is best to have things that can easily be handed to the kids with one hand and don't make a big mess. Things like fruit snacks, apple slices, crackers and fruit pouches work well. And I always make sure to bring a lot of food for the car. Sometimes stopping right at a meal time doesn't work out and those snacks become a lifeline, literally. Now for entertainment. I either put a basket in between the kids and fill it with toys or pack each of them a backpack with toys. I always try to select things I know they are into and that will keep them entertained more than a moment. Books are the number one thing I pack because both kids enjoy looking at them. Then I usually bring other small toys I know they will like and can play with in the car. And let us not forget my secret weapon...the iphone. Hand either of my kids an iPhone and they are happy as can be. Unless it dies or it's past their bedtime (hence rule number one). But the iphone generally doesn't come out until I have exhausted all my other options...like singing loudly or starting a dance party. 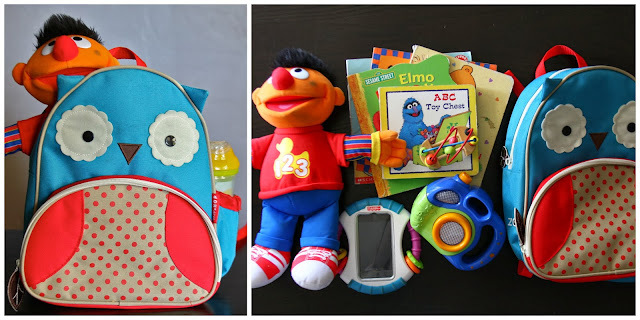 It's also important to bring something that makes the kids feel comfortable, like a blanket or stuffed animal. Once you hit the road, it's key to just go with the flow. If the kids are sleeping, we try not to stop because without fail, they will wake up. When traveling alone with kids, it's best to know of easy places to stop that are easy to navigate by yourself. Because there was this one time...think two kids, a mom with two hands and one hot cup of coffee. It didn't go well. Anyway, when we do stop, I try to give the kids a little time to stretch their legs and get some wiggles out before hitting the road again. I don't know if it is the luck of the draw or because we have traveled so much with our kids, but they really are good car travelers and for that I am thankful...because, well, my parents live 300 miles away!